Prohibition Agents Ballard White Turner and Ernest Vlasich went to the home of Jesse Cousins, located about 25 miles NE of Vancouver, WA. The agents had planned to make an undercover purchase of moonshine whiskey. Prohibitions Agents Crowell and Kirby, in a second automobile, parked about 200 yards from the residence to provide security during the operation. The agents successfully purchased 2 gallons of moonshine from Cousins and then advised him that he was under arrest. Without any warning, Cousins drew a .380 caliber pistol and fired at both agents. Agent Turner was struck twice in the heart and died instantly. 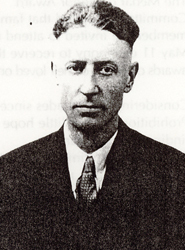 Agent Vlasich was shot three times and seriously wounded. The back-up agents immediately responded to the house and found the two agents lying in the driveway. Cousins had fled. Agents Vlasich and Turner were transported to St. Joseph's Hospital in Vancouver. Agent Vlasich underwent an operation to remove two bullets from his chest and the doctors believed that his prognosis was good. However, he died several weeks later. A posse of Prohibition Agents, State and sheriff deputies was quickly formed and a search for Cousins got underway. However, Cousins was an expert woodsman and the posse could not locate him. Two months later, Prohibition Agents, along with Sheriff R. E. McCrite, found Cousins hiding in the woods of Clark County and arrested him. At trial, Cousins was found guilty of first degree murder by a jury and sentenced to life imprisonment at the State Penitentiary. 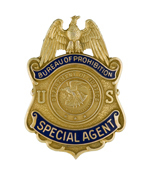 Agent Turner joined the Bureau of Prohibition on December 21,1931, with an annual salary of $2,300. He carried badge #1166. Previously, he proudly served in the U.S. Army from 1917 to 1919. Agent Turner was born in Richmond, KY. He was survived by his wife, Bertha and their daughters, Charlotte Ann and Dorothy Louise.